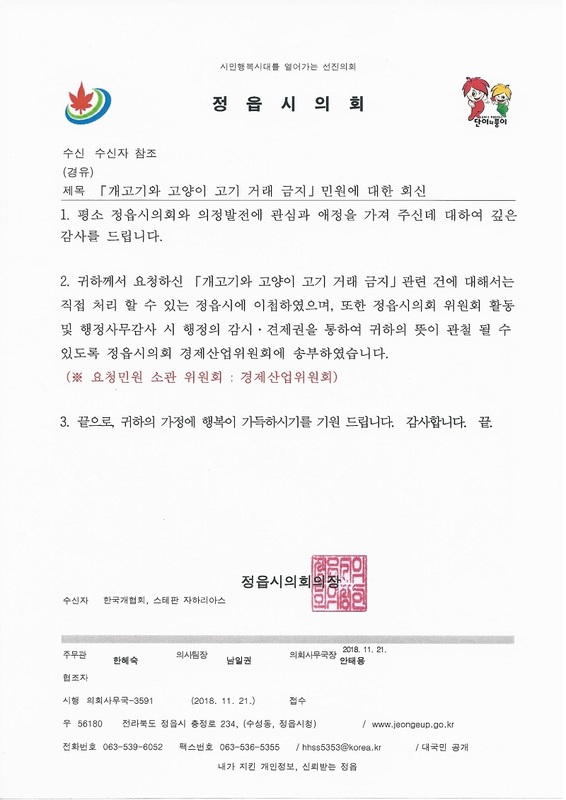 We received the below response from Jeongeup City Council regarding our campaign/petition: Jeongeup, South Korea, Shut down the illegal dog meat farms, slaughterhouses and markets. Click HERE to view our campaign. We thank Jeongeup City Council for their response and look forward to their taking real action in bringing the illegal dog and cat meat trades to an end. We will keep our campaign open until Jeongeup makes a commitment to become a dog meat free city. Regarding: Response to your petition to “Stop the Dog and Cat Meat Trade”. 1. 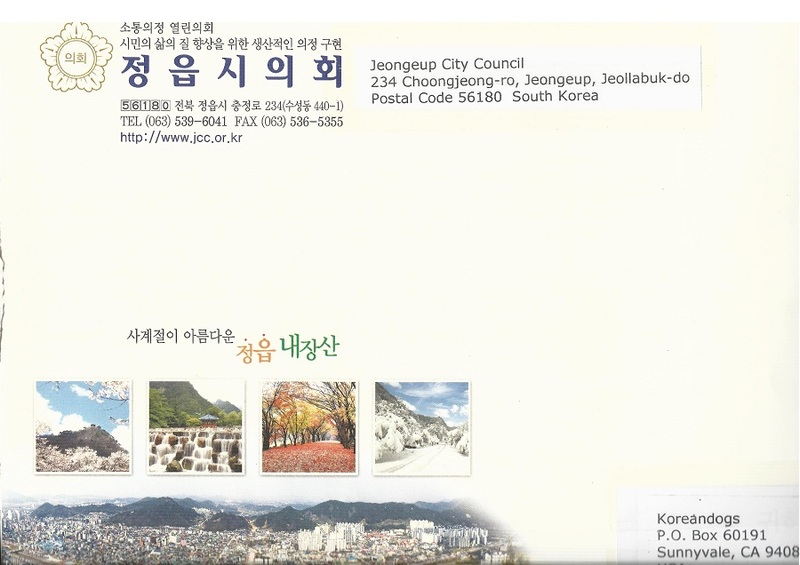 Thank you for your interest in Jeongeup City Council’s activities and progress. 2. Your petition to “Stop the Dog and Cat Meat Trade” has been referred to the City of Jeongeup who can directly handle this issue. We also officially sent your petition to the Business Industry Committee of Jeongeup City Council so that they will carry out your wishes through council actions, administrative audits and inspections, reviews of the city administration, and other checks and balances. 3. We wish your family happiness. Thank you. grazie di cuore per quel che farete e fate per cambiare le cose e aiutare creature meravigliose e uniche come cani e gatti. e spero che aiutiate naturalmente anche chi commercia a trovare altri lavori. Please stop this cruelty to cats and dogs. Please control that it is not happening anymore. South Korea’s actions truly make me sick.